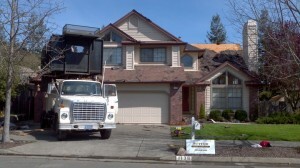 Choose a roofing contractor that serves Rohnert Parkwith an excellent reputation for roofing Rohnert Park homes, contact our roofing company, Sutter Roofing and Sheet Metal, for an estimate. Whether you need roofing repair, require a completely new roof, or need something in between with customized gutters, leaf protection systems and attic insulation/ventilation, Sutter Roofing and Sheet Metal has the correct roofing contractor formula for our Rohnert Park clients. Our Rohnert Park clients know that all of our roofing systems are installed according to the manufacturer’s’ specifications and carry a written 3, 5 or 10 year warranty on workmanship, in addition to the 10 to 50 year manufacturer’s warranty from the roofing product. Once the roofing is installed, our roofing company manufactures customized gutters for installation, and also provide attic insulation/ventilation to help keep your energy costs low. Quality is where we both begin and end for our Rohnert Park clients. That is why our roofing company is the leading roofing contractor serving Rohnert Park. Contact Sutter Roofing and Sheet Metal today at 707-829-5050 or online for a roofing estimate. You’ll be glad you did!